When you are arrested for an Illinois DUI you face two legal actions. You face the criminal charge of DUI as well as an administrative suspension of your driver’s license. You have the right to challenge the automatic suspension of your driver’s license by filing for an Administrative License Review (Illinois ALR) in a timely fashion. If you fail to file this appeal in time, you will lose the right to request an Illinois ALR. You should be represented by Illinois DUI attorney Brian Roberts at this hearing as certain rules of evidence and other legal rules apply. 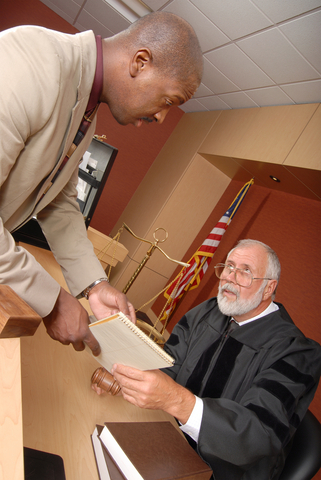 You must file for an Illinois ALR hearing within fifteen days of the date you were arrested. The officer who arrested you is required to provide you with information on how you can file for this hearing. If the officer fails to provide you this information you may have a challenge to your license suspension, but the burden of proving he failed to give you the required notice is on you. Once you hire us, we will file this appeal on your behalf, and notify you of the date, time and place of the hearing date. We will also tell you whether you are required to be present at the hearing. On the date of the hearing the ALR hearing officer will typically enter the police officers arrest and other reports into evidence. The arresting officer is not required to be present unless he receives a subpoena. The State will not typically subpoena the arresting officer to the hearing. We have the opportunity to subpoena the officer for questioning, and/or challenge the admission of any of the records the State intends to use as evidence against you. We also have the opportunity to introduce any other witnesses we believe may aid in defending you against the Illinois DUI license suspension. What Must The Illinois ALR Officer Find To Suspend My License? Refused to submit to the chemical test after being read the required Implied Consent warning. If you have been arrested for an Illinois DUI and you file a timely appeal to your driver’s license suspension or revocation you are entitled to an Illinois ALR hearing where we have our first opportunity to challenge your license suspension. If you do not, however, contact IL DUI Attorney Brian Roberts in time for us to file your Il DUI ALR appeal, and you do not file the appeal on your own, you will lose the right to challenge your license suspension. Contact us immediately after you are arrested so we can fight to help you keep your driver’s license. Do not wait, call us or fill out the Contact us form right now!